We break down the pros and cons of crowdfunding in order to help you decide if the crowdfunding approach to raising seed capital a right for your business. Crowdfunding has become an increasingly popular way for individuals and businesses alike to raise much-needed capital. The relatively low cost of entry and accessibility of popular crowdfunding platforms have fueled this revolution in funding. But while it might look easy — and seem like a no-brainer — to launch a crowdfunding campaign, there are strong pros and cons to consider. How hard will it really be? What are the true pros and cons of crowdfunding? To answer those questions (and a few more that people might not have even thought of), we reached out to our network of crowdfunding experts. 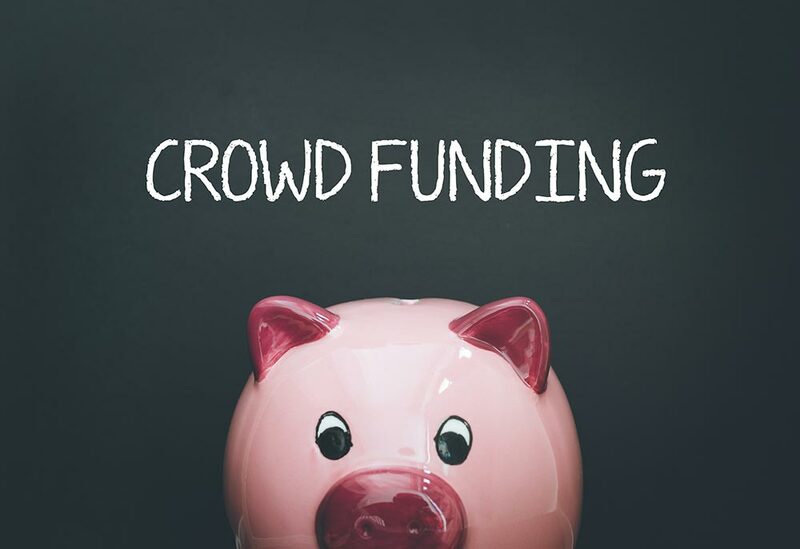 Our list includes founders of crowdfunding platforms, serial entrepreneurs, and people who have run their own successful crowdfunding campaigns. It’s an excellent resource for any founder thinking about launching their own crowdfunding campaign. One of the biggest advantages to hosting your fundraise on a funding portal is that you can concentrate all of your investor discussion into a single place. Prior to funding portals you had to constantly update a bunch of potential investors through emails, meetings and phone calls which was a painful exercise of herding cats. Centralizing your communications isn’t just about emails, it’s about constantly updating your fundraising profile so that every new detail can be instantly available to prospects. Think of it as proactive marketing, which is a critical part of fundraising. Crowdfunding can mean not giving up equity. This pro is very easy to understand. When buying a product that is crowdfunding, think of the audience almost as investors. These investors are being rewarded with perks not equity, which is awesome! Crowdfunding can be a great way to test the market. Crowdfunding is a phenomenal way to test the market without building out a full website and company. Your fundees finance your product. Crowdfunding is essentially Ebay for early adopters, where the fundee can finance a round of production, or a service can be prepaid for. Where in the past it was a matter of ‘beg, borrow or steal’ money or already have market demand, now you can start with neither. And you’re not giving away equity! BONUS! Startup investments tend to need momentum. That comes from one investor seeing that another investor is also interested in your deal. The more people that look like they are willing to invest the more likely they will all invest. It’s a herd mentality. Concentrating your fundraise on a funding portal allows each investor to see that others have made similar commitments and gets them more comfortable making their own. When running a crowdfunding project, you are going to be targeting a community that is already looking to become early adopters. These people are the ideal market, to begin with for the initial fundraise of the project. Use this audience to validate your project! Crowdfunding can raise a lot of money. Crowdfunding can validate your offer. You don’t have to be a big player to go toe to toe with the big boys and become a big player! Oculus Rift, The Pebble watch (RIP), and Cards Against Humanity all started on Kickstarter and became huge! The market judged them months/years before they were available for sale. Crowdfunding creates a network effect. Although we’ll contend that funding portals don’t find investors for you, it is true that there is a powerful network effect that you can create on a portal that you can’t simply get from keeping your fundraise hidden. On a funding portal the most active fundraises tend to get featured in newsletters, on the homepage and shared with other users. Those are all important and helpful tools to extending your fundraise, it just isn’t helpful to fill your fundraise as a standalone activity. Crowdfunding allows creators to test the initial market of early adopters before transitioning their product onto the actual market. The results of the crowdfunding campaign show a snapshot of whether your project would be successful in the long run. Imagine running a crowdfunding campaign as a test run. Crowdfunding creates can accelerate your business. In certain niches where there is a great crowdfunding / market fit can be a massive accelerant. Crowdfunding doesn’t “find investors” for you. There’s a myth that you post your idea on a crowdfunding site and money from strangers falls out of they sky. Total myth. Successful fundraises are almost always the product of the Founder working their personal networks, very proactively reaching out to prospects, and building buzz around the raise. In fact, there is a direct correlation between the number of outside links to a crowdfund and the success of the fundraise. While a funding portal may have thousands of millions of potential backers registered, that doesn’t mean they are all flocking to your specific fundraise – or any fundraise. No one is dying to scour a site endlessly in hopes of parting with their money. They get interested when they hear a fundraise already has some momentum and someone shares it with them because it looks so interesting. Think of their investors as icing on the cake, not the cake. Crowdfunding is full of scammers. Scammers are by far the biggest con of the crowdfunding space. There are so many projects that have a successful raise, but do not pull through with the execution of the project. As a result, a lot of people have become jaded by the lack of follow through and reduced the trust between creators and early adopters. Crowdfunding is a lot of work. In order to really successful you likely need to do a full on launch campaign that is a lot of work (like anything in life and business) and does cost money whether that’s for a professional video, ads, pr or marketing team. You can get false positives. Crowdfunding can result in false positives that can be disastrous for startup companies. The most common would be around idea validation — whereby a poorly marketed crowdfund may fail, not because the product or service didn’t have merit, but because it wasn’t well promoted. While there is a small halo effect in being on a well known funding portal, investors are only going to write a check if they think you have an incredible deal. Whether you’re listed on one portal or another isn’t going to carry a ton of weight that’s worth fussing over. Crowdfunding takes a lot of preparation. More than a con, this is more of a warning. Do not launch a crowdfunding project without the proper preparation and pre-launch. We have seen so many projects not work out because the proper steps were not taken prior to the launch of the project. Make sure you do your due diligence in running ads, compiling emails, and gaining exposure of your project prior to the launch. This means that there is going to be a cost in running a proper crowdfunding campaign. A lot of newbie entrepreneurs get the logistics and fulfillment piece wrong and don’t budget appropriately for COGS and delivery to make these crowdfunding campaigns successful and end up losing money in the end. Negative feedback can be rough. Being in the public domain in the age of The Troll can be testing. Ask anyone who has comments turned on on their YouTube channel. It can be hateful or just negative. It can effect the fundee or influence other funders (e.g. a comment saying “I know this fundee and he/she is a charlatan” or “this product/service will not work/be any good” can effect your campaign). The scale and visibility of failure. Crowdfunding brings the transparency of the outcome way up. Unlike a bootstrapped or traditionally funded business, crowdfunding puts your early stage company’s performance in full public view. As sweet as the success can be, failures can feel 100x harder. You still have to close every deal. You still have to reach out to each investor, setup meetings (even if by phone) and convince them to part with their hard-earned capital. The process is exactly the same as the old offline way, its just more efficient to cull all of the investor interest in a single place. Crowdfunding can be a saturated market. Crowdfunding has begun to become saturated with similar and like products. Crowdfunding might not be a good fit. Depending on the brand it might not be a good time. If you are building a luxury brand, there is a perception of crowdfunding being a bit gimmicky rather than luxury. A crowdfund sets an arbitrary period in which you must win or lose, when the reality is that is an unnecessary additional stressor on the business, founders, staff, etc. By compressing the period in which you have to succeed, you risk ‘failing’ when all you needed was a live get period to gain traction. Crowdfunding can be all care, no responsibility. The funder may never receive the good or service. Fundees can have the best intentions but so much can go wrong. Or you may receive the product and it’s not as good as you thought it would be. There are also some (let’s hope not many) unscrupulous operators who promise the world, take the money, and run.